My previous article on Handling Objections was very well received by most of you. If you have not read it, I strongly advise you to read it. Since I am on a roll, I have decided to write another article on a topic: Bouncing Back! It has been almost 6 months with the launch of our new website. I am sure that the new interface of the website is much nicer looking and easier to navigate. Our new website has been completely redesigned from the ground up, and with so many new functions and information on our website, it can get a little bit confusing. But once you get used to the new interface, you will find that it is actually very easy to navigate around the website! Guess the Champions of World Cup 2014! Thank you for your interest! The contest is now closed. William kicks off the day’s training with a session on our Interface products. And follows up after lunch with a ‘Powerful Session’ showcasing our power supplies; reinforced with plenty of live demos for the trainees to have a hands-on experience. 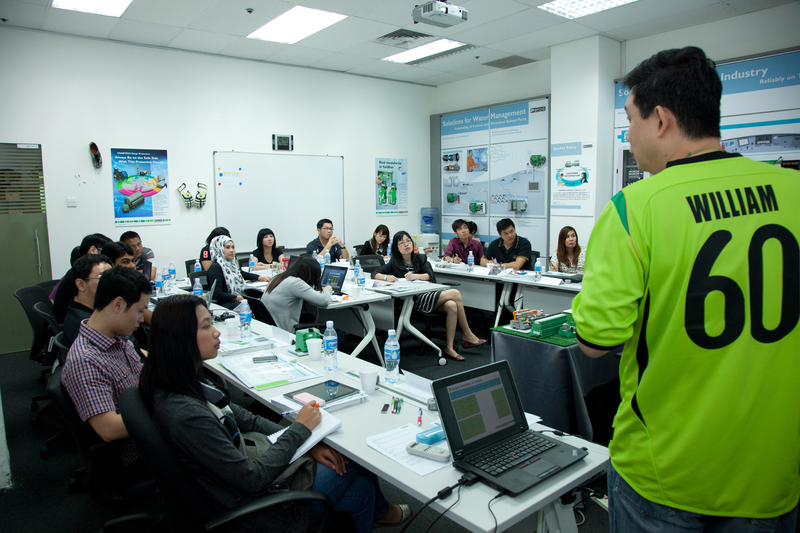 Every year, we conduct a basic training for new staff from our various Southeast Asian subsidiaries, rep offices and select distributors. This year is no different. However, we made sure that the participants got a totally new experience. The new M23 Hybrid round plug-in connector from Phoenix Contact is an all-in-one connector that securely transfers signals, data, and power. Uno Power power supply units, now available in 15 different modules, offer output voltages from 5 to 48 V DC. Their high power density and compact control cabinets speak for themselves, and they can reliably handle loads of up to 100 W.
The new ME-IO housing system from Phoenix Contact is expanding its electronics housing line to include front connection technology.